Home » Blog » The Funna® Kids: Meet Fanny! The Funna® Kids: Meet Fanny! Hi there, welcome to Funna® blog! 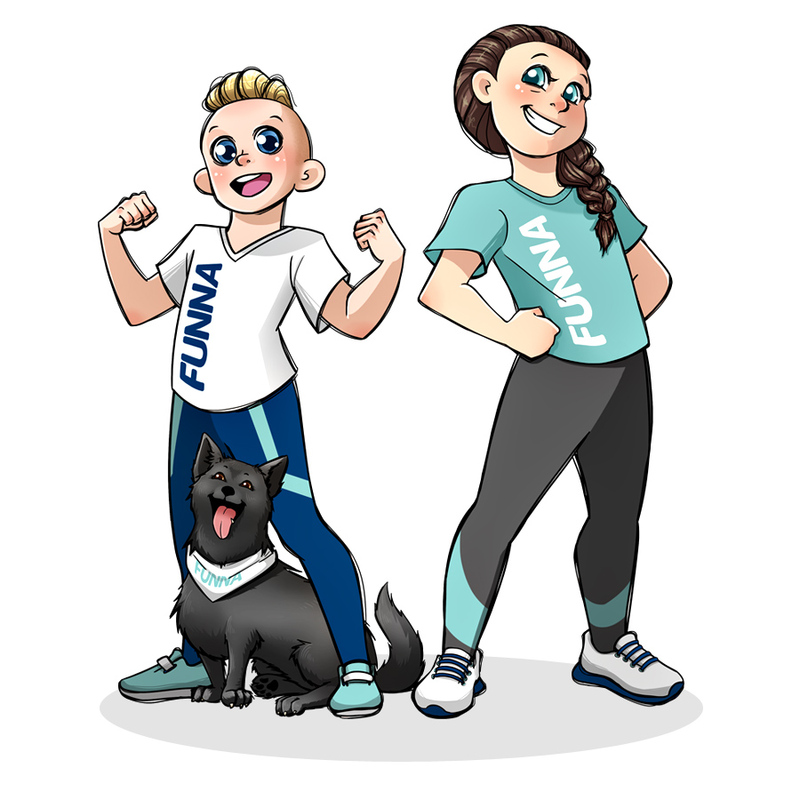 We are Fabian & Fanny, aka the Funna® Kids, and this is our Funna® Dog Cosmo. We are taking over the blog now and you’re going to hear from us time to time! We are thrilled to be able to share part of our agility stories with you. So today, you’re going to get to know a bit more about me, Fanny. I was 6-year-old when I started doing dog agility with my mom. It all began in a beginner class of a local dog club with my family’s dog Cosmo. For me, the road to agility was a rocky one and my interest quickly faded… In the groups of adults I didn’t get the age-appropriate approach to work with the dog. As a 6-year-old, one is still developing their motor skills, coordination and patience. A child can’t take the instructions the same as an adult can! So, I gave up on agility and my mother ended up training Cosmo. That was before me and my mom came across the Funna® method! Doing agility with children of my own age, with methods that worked better with me made me feel excited about the hobby once again! After it, nothing stopped my progression. I started to get more confident and my skills on agility skyrocketed. My favorite exercise is Twister by Funna®, and I often challenge my family with it. So now I’m on my way to become a Funna® Coach myself and I can’t wait to share my knowledge and enthusiasm with other kids that are just like I was before! I am Fanny and I’m gladly part of the Funna® Revolution! It was so nice to meet you! Next time you’re going to meet Fabian. We can’t wait to see you again and have some Funna® Fun together! INTERESTED OF WORKING AS FUNNA COACH?